Build relationships and create community by celebrating group events and accomplishments. Celebrate teams and foster a sense of community. Celebrate group activities and experiences across work circles – from offsites to corporate social responsibility projects to running clubs, and more. 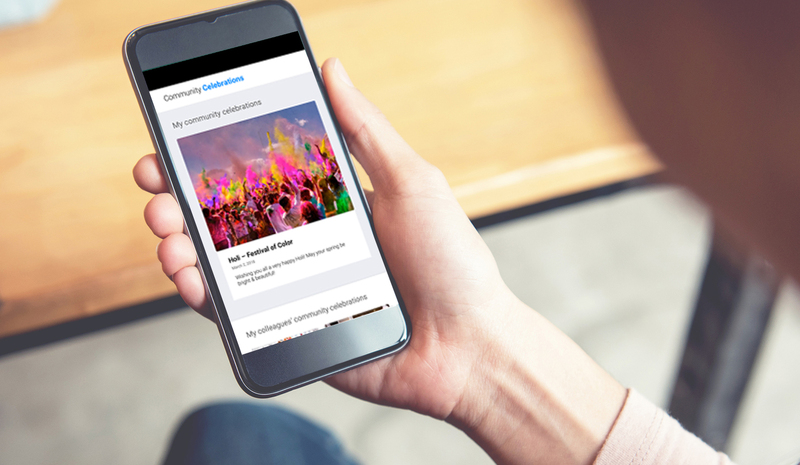 You’ll cultivate micro-learning moments across a diverse workforce and raise awareness of opportunities for like-minded employees to come together and grow as a team. Celebrate an inclusive and diverse workplace. Share team outings, charity events, and holidays. Promote inclusion and deepen social connections among all people in your organization and they will be inspired to give more. Research shows that when employees have a deep sense of affiliation with their team members, they put in more discretionary effort and are driven to take positive actions that benefit the business. Whether it’s a team outing or a shared passion, memorializing celebrations and accomplishments creates a real sense of belonging and invites others to join in. 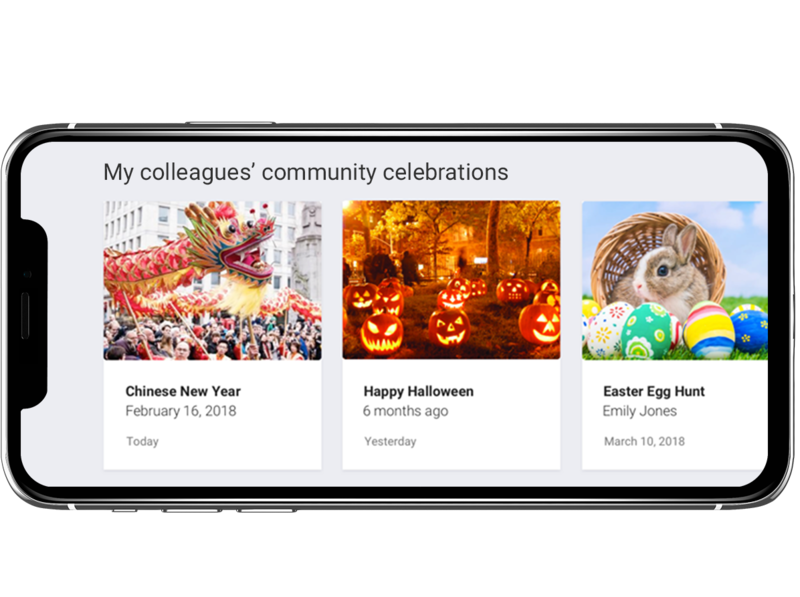 As team members add their own memories, events take on a richer meaning and significance with a dialogue around shared interests and cultural celebrations. Everyone can be a cultural energizer. 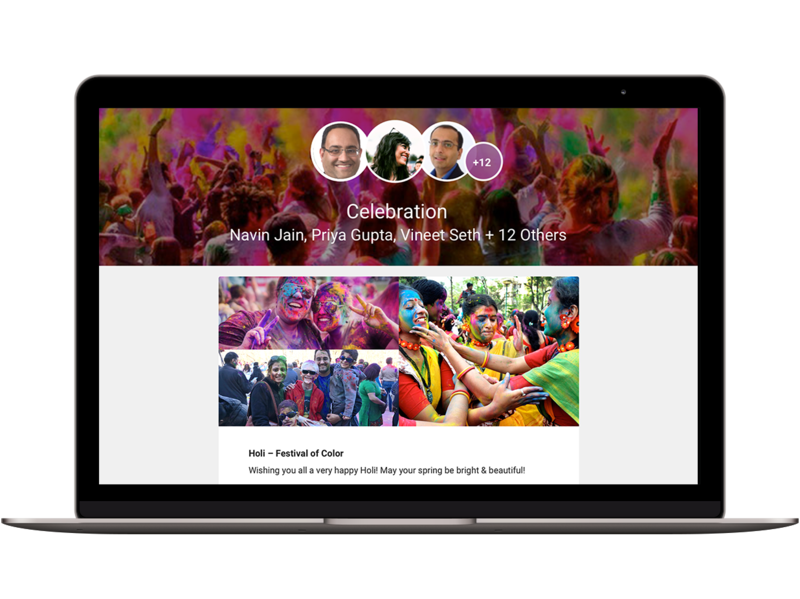 Community celebrations can happen without HR and managers involved. They can, of course initiate them, but often leaders of events and special interest groups initiate the celebrations and invite others to participate. That means more energy and positivity shared from all corners of the company. Verified by the top independent security firms in the world, our security measures include multiple layers of control for all users, patented SSO mobile authentication, and Privacy Shield and PCI-DSS certification. Great leaders know that the more gratitude in an organization, the better it performs. The data proves it – over and over again. Continuous performance management connects managers and peers to shared purpose with feedback, check-ins, and priorities. Commemorate career journey from first day to anniversaries, promotions, and retirement, leveraging crowdsourced stories and memories. 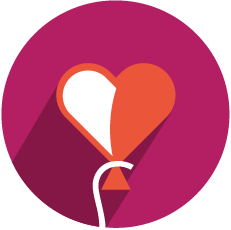 Inspire the crowd to celebrate your employees’ most meaningful personal moments, such as new births, marriages, graduations, and more. 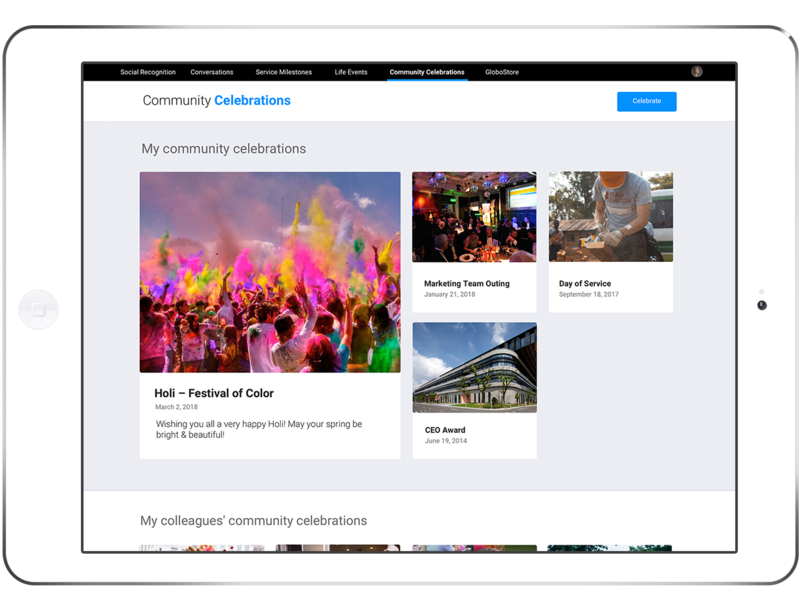 Strengthen company communities by memorializing group experiences including team outings, charity events, and holiday celebrations. See how to connect culture to shared purpose at your organization.